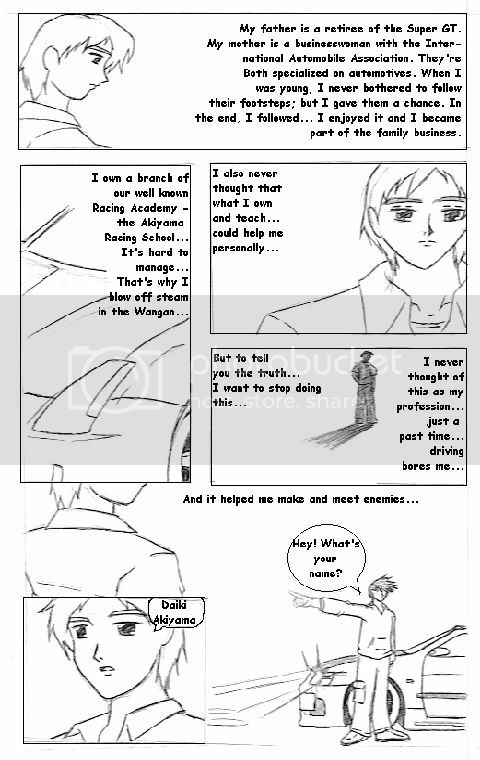 It's a story I've made that was inspired by the anime Initial D and its arcade version. 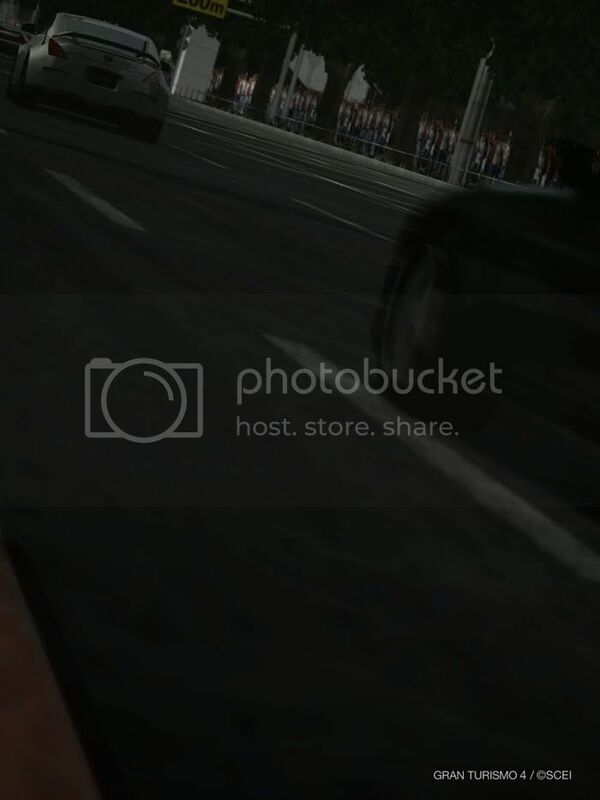 Wangan Midnight Maximum Tune has this share as well. At first, I never thought that MT is that challenging until I gave it a try myself... Sad to say, I was engrossed in the atmosphere and ended up being a late regular of the arcade series, starting and currently finishing WMMT2. Characters of my original series: Speed Legend are mostly high school students and regulars of the street racing side of Japan. It somewhat tells of a story of life as well and what it really means to pursue what you really want in life. 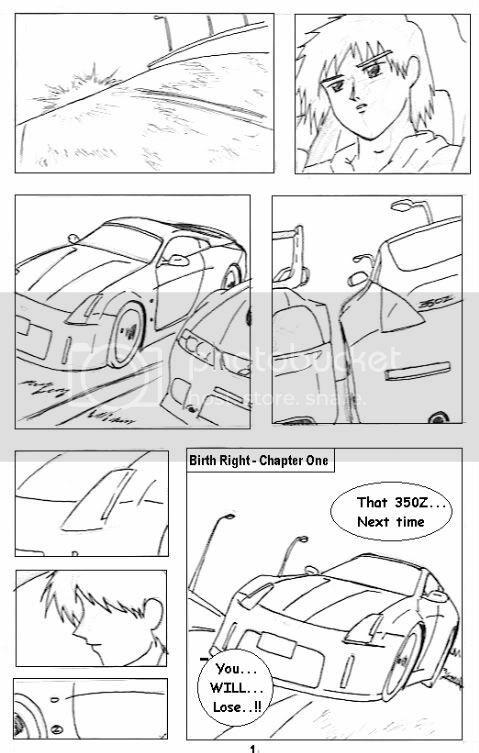 In here, the lead character really wants to be a street racer; he doubted in doing it and lets it be just another by-standing part of his life until he gave it a try and realized that it wasn't easy. 2. Who are the characters? The original series' main character is named Tomogashi Kitsumoro; first appeared at 17 years old, 3rd year high school student. From childhood, he was a complete car fanatic and race fan of the touge scene. When he started racing on his own in his NISSAN SILVIA CS14, he started to realize his undeveloped, unrealized talent in racing that bloom at a pace that the regulars of the touge scene didn't expect - especially from somebody who recently got his license. He has no secret training whatsoever and just lets his talent bloom day by day until he became well known in his so-called dream world. He befriended, faced, raced and rivaled quite a group of street racers also of the touge scene... etc. etc. More details are found at idforums, where my series (the prologue comics) are placed. But here in this story, Tomo is NOT the lead character. This time, it's his rival from my Volume 14 R series, Daiki Akiyama. The story will revolve around Daiki akiyama's life as a tokyo shutoku racer, why he became one, and why he is a well known, nationwide racer of Japan. 3. What's the difference with the original series? 4. Any brief list of characters of this series? 5. How long would this continue? Haven't thought about that for a while... but I already know of a good ending to this... dunno if I should make it happy or tragic. I have a huge feeling that it would be best posted here. It's the perfect place. The 1st Chapter will be appearing soon!! Time to get more information! and once again... HELLO TO YOU ALL IN WME!! 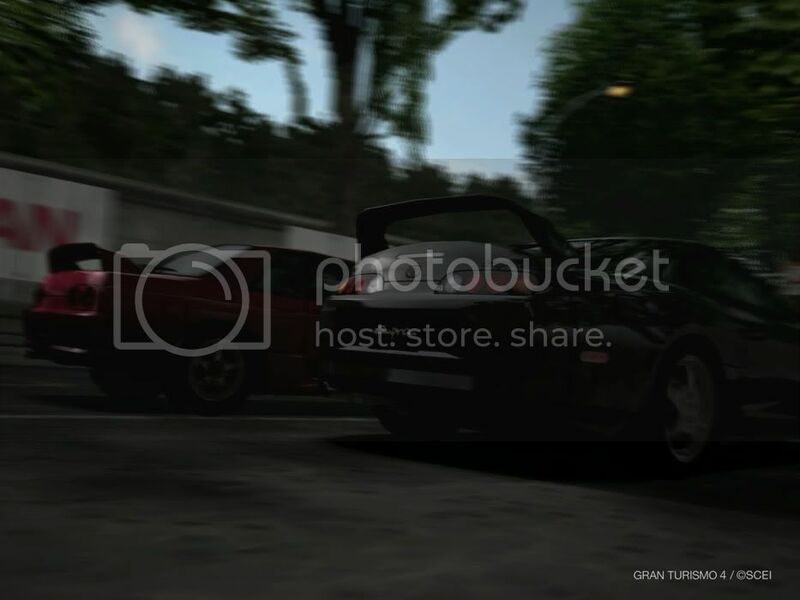 Description:He had juz graduated from high school,and he work part time job in a restaurant nearby his house,one nite after his work he was drag by his friend,called Aki to his house oni to join him for a cruise in wangan while cruisin down the highway they met a rx-8 tat cruisin at around 300KM/h..Aki tried to chase the rx-8 wit his Tune HIace but fail to chase...Shin was amazed by the power of such a small car...after tat incident..shin work part time in many job..his reason to buy a rx-8...as he was fascinated by the brilliant black rx-8...after month of workin he finally save up enough money to buy a rx-8...as he went to search for a rx-8...after days of searchin for the perfect car..he found it..a purple rx-8 in a garage...he went in to check on it...and was surprise to see the owner standin rite beside him..and ask him "this car is beauty...created from my blood and sweat"
This isn't exactly an update but I have an idea of how I'd go about this. I'm planning to make this a dual media. What is Dual Media? Each chapter would have an alternate media to it. I'll be using novel (like all the other fanfics here) and comic strip, since I started the first chapter that way. It is still in progress so don't think that this would just be another un-updated archive or anything. It WILL push through. And I got inspired a bit after battling some FT dudes in WMMT2; tense battles that I decided to add on here. I just need to ink the first chapter pages up, type the dialogue and get started with scanning, saving, and posting... I hope I didn't disappoint some for making this one a too-long-to-wait story. For an intermission; or while you guys wait... I suggest reading my original series to give you an idea on how I write/draw my series. 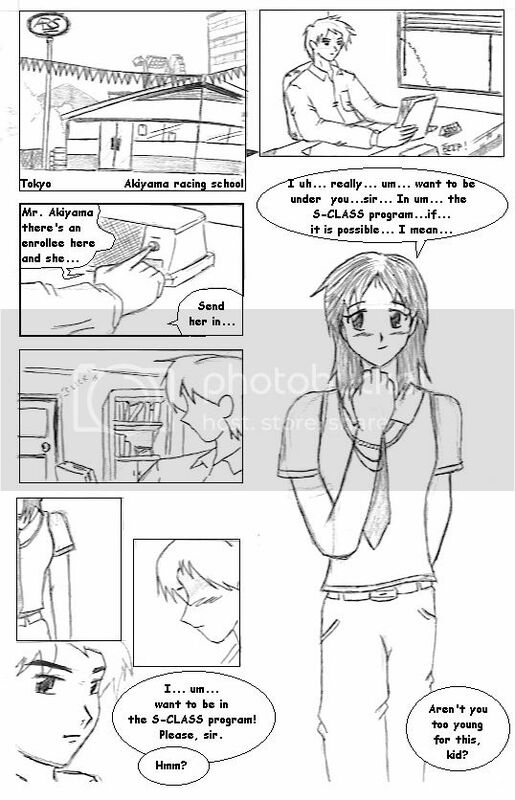 The first story (Prologue) is a comic based story - comic strip medium. Then, there is an overview of the whole series (these are comics but I don't want to spoil them) then, there is the typewritten continuation, a work in progress. Hope you like that for the meantime while you all wait. Tokyo. The East's New York. A City full of lights. Numerous attractions of this city kept it alive such as the Tokyo Tower, the Skylines, and all the lights shimmering it. There is one thing that was infamous among tourists and commoners which only a few appreciate - the beauty of the Tokyo Metropolitan Highways, also known as the Wangan, as named by a few. Drivers young and old, with automobiles that possess colossal power, go through these highways to find the ultimate form of speed. They want to see the other side of this world - where the wangan would take them. Many falter and perished attempting this. Only a chosen few have claimed victory. 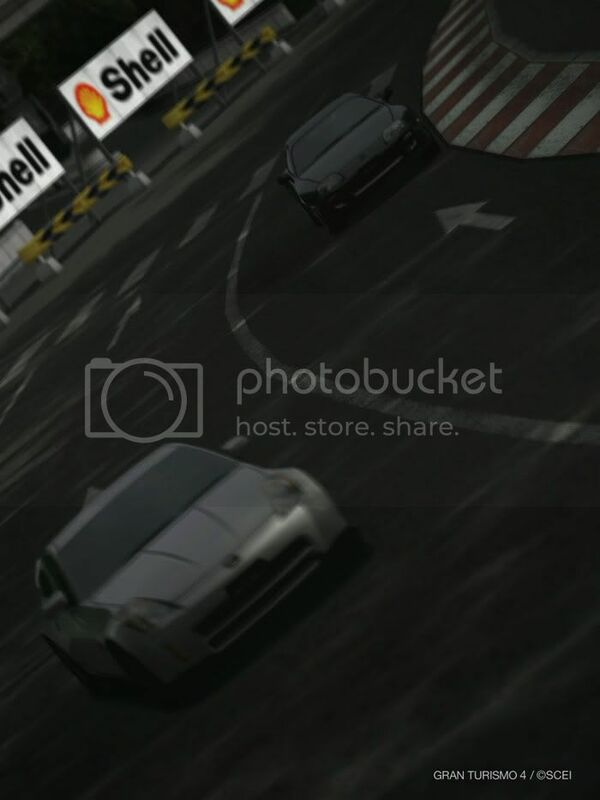 Cars of the elite; cars of the balanced one, cars of unexpected performance... all kinds appear on the Wangan. Three forgotten legends still roam around these highways - The blue 240Z, the Black 930, and the siver KPCG10. As old as they come, these vehicles were targeted and feared by many. The new generation kept growing as these kept fading; yet they still show their immense superiority on the road. It didn't stop, however, the vast growing abilities of the youth generation. New cars, new faces and new styles kept appearing. Countless however retired, still countless more arrived on the scene. As of this night; the night of April 4th, a new legend was born. 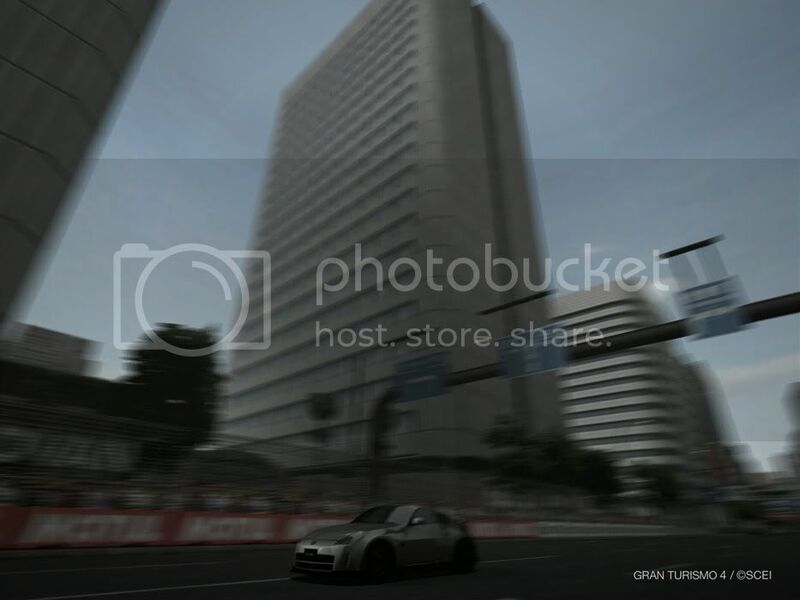 Rumors have spread every single day about a silver Nissan 350Z roaming about the wangan in speeds as high as the legends. 'Who ever knew the current generation had this much talent.' One of the regulars wondered. 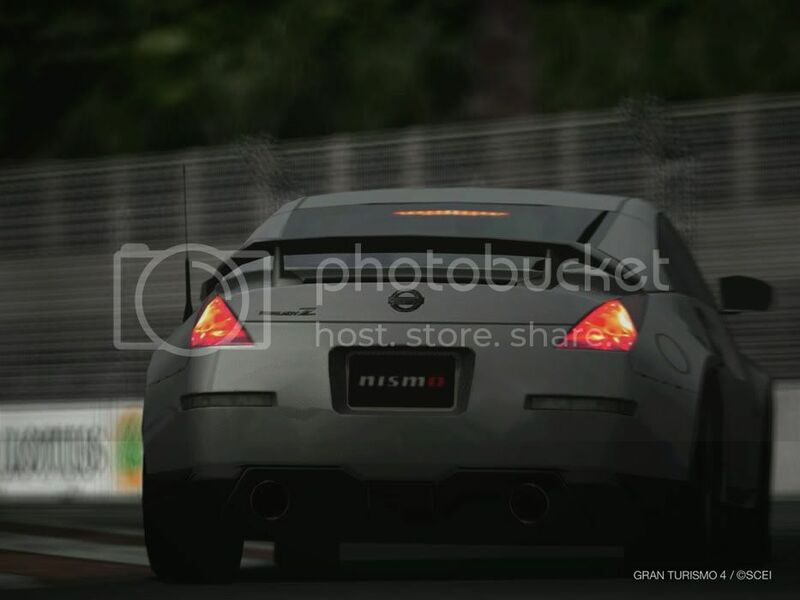 Every night, the Silver 350Z roams about the wangan highways in perfect form. Many have challenged this mysterious racer and all of them failed to defeat it. Truly, a supreme 'hashirya' as many would say. Who is this person? He is still yet to be known. An 18 year old boy named Shin Ayamazaki; still in high school, in his purple striped Mazda RX-8 type S, has just raced someone with a vehicle such as his - a black one with a Mazdaspeed body kit. His car isn't his yet; he just made a deal with the owner that it would be his if he mastered it. For 3 months, he drove it and is close to mastering the car. "At this rate, my RX-8 would definitely be mine for good!" He yells as he shifts the car from gear 4 to 5 out of a right corner, entering the new belt line. Reaching speeds of 296 km/h constant, he could feel the air entering his car, letting it touch his face. "So this is what it feels like. I can't wait to share this with my pals back at school." he muttered. Suddenly, he could feel a new car coming close to the RX-8. "Another challenger? Hmm... I already got 14 wins as of 3 months ago, if I nail this one... I could proudly tell this to this 8's owner and he'd have to hand it over to me!" The unknown car, with its lights beamed on at the RX-8, tailgates it waiting for an answer. When Shin shifts gears and a ball of fire came out of the exhaust, the challenger knew he accepted it. 'Another person to blow off my inner steam. Hey, thanks...' he thought. Shin slaloms around the passenger cars flawlessly hoping that he'd leave the mysterious driver for good. At a pace of 307 km/h this time, he glances at his rear view mirror while driving on a no-traffic lane. "Did I do it?" 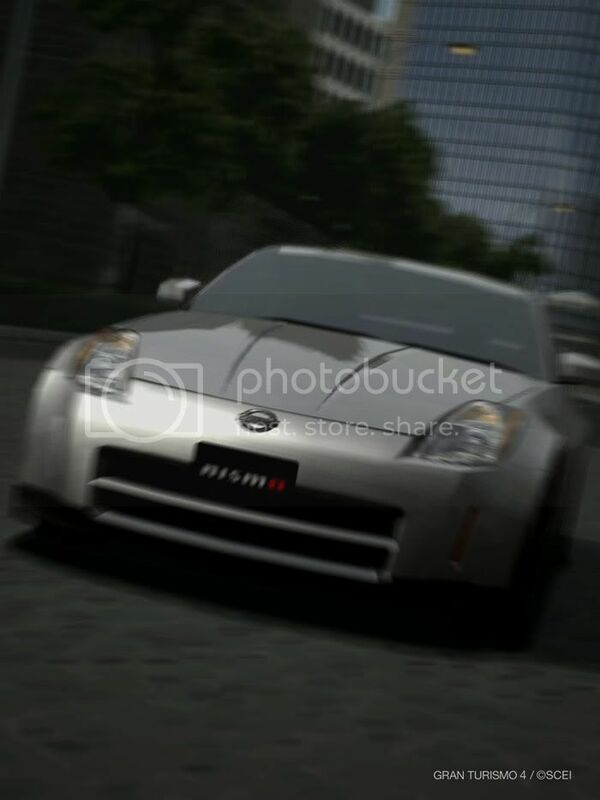 As soon as Shin glances back on the Road a Silver 350Z appears right in front of him causing him to forcibly brake. "Oh Shi-!" He shouted in surprise. The RX-8 lost control during braking and Shin had no choice but to stick his foot on the brake pedal until his car halts. A huge screech echoes around the New Belt line's tunnel. He felt the car jolt to a stop. From the inside lane, 6 lanes away, he stopped at the middle of the tunnel at the outside lane, close to the tunnel wall. "What a close call." The tires lets off some steam and Shin steps out of his car. "I guess... I am not cut out to drive you..." he softly spoke to the RX-8, with its hazard lights on. As for the Silver Z, the driver; who had his face covered with the shadows all except his mouth, made a pout saying 'hmph... not even worth the time... that kid disappointed me.' 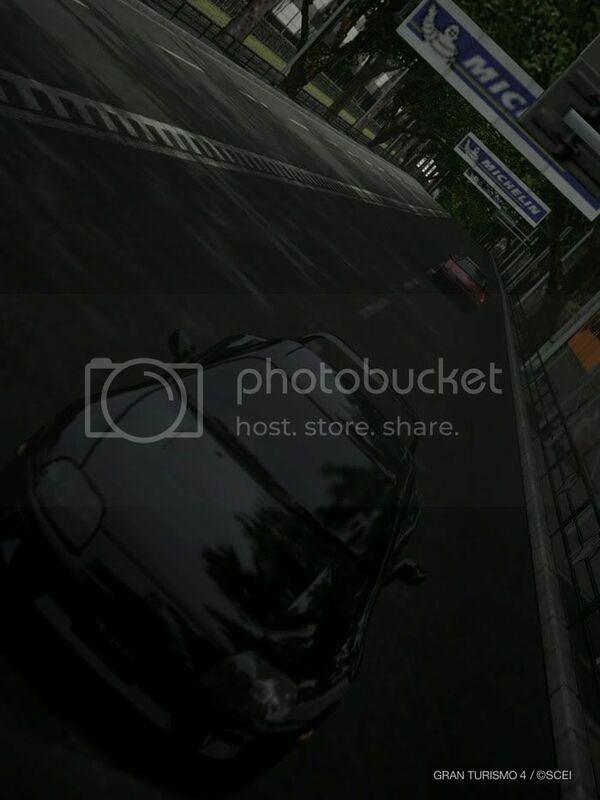 he said as he speeds down the rest of the Wangan at 320 km/h. Far away, there is a silver Mitsubishi Lancer Evolution 8 MR which had a stock carbon hood as an exterior upgrade. Cruising at 317 km/h, he is confident enough to take on any driver. In his whole career, he boasts of his 42-0 victory. A man in his 20's he is. His name? Seiji Tsuchiya. He is one of the very well known drivers of the youth generation - one of the prime racers at that. 500 meters away, he could sense another car coming at him, targeting him. "Another one?" He uttered. The Z flashes its lights again. "You ask for it." Seiji said as he downshifts from gear 5 to 4 and accelerates away. 'By how this Evo accelerates... he's worthy...' the Z driver uttered. Entering the C1, the drivers face the dividers, followed by an S curve, then another divider. The Evo enters the outside while the Z enters the inside divider coming out side by side. "U-What!?" Seiji whispered in shock. It didn't stop his driving style though. He Cuts in on the inside hoping to reach the apex. The Z driver noticed this and decelerated to avoid a collision. Seiji induces his car to an inertial drift, nearly hitting the outside wall of the S curve's exit and passes through the inside divider. the Z clings on at the same spot, increasing in pace. A long stretch of straight road is in front of them and the Evo has reached 319 km/h. Unknown to Seiji, the Z is making a classic move on him - the slipstream. The Z passed his maximum speed and is ready to overtake. "I-Impossible" Seiji uttered. "Is this Z that Aerodynamic? It looks stock for crying out loud. How could it be this fast!? 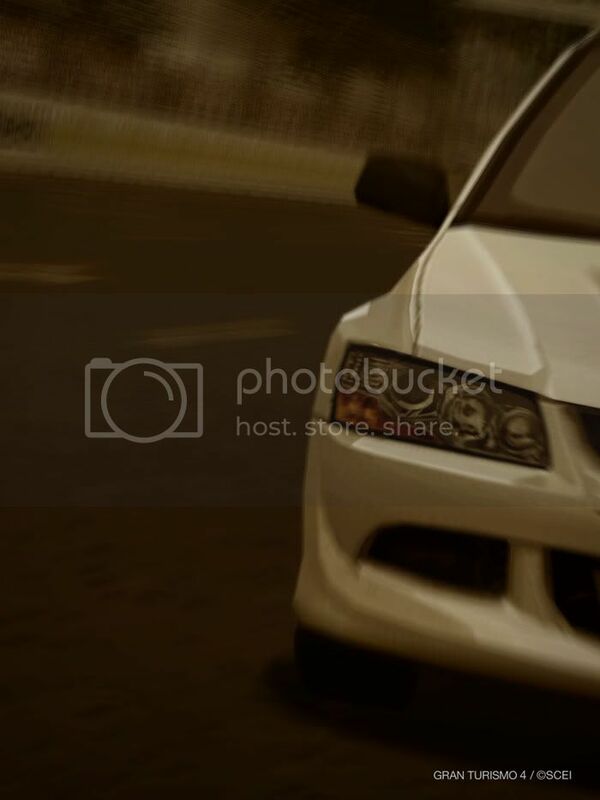 Judging by how the car increases in pace, the body weight is still heavier compared to my Evo 8." When the Z had its front bumper 8 inches away from the rear bumper of the Evolution, the Z swerved to the right. Coming downhill at a side by side pace, the Evo and Z blasts through traffic, without one making a desperation attack at the other. They still take the straight road and neither driver would give in until their tachometers reach the red zone. Who would take the lead until their engines say so? Now that is just the start. Chapter 1 would be up very soon. Finally! Chapter 1 (Comics) have arrived!! Here we goooo!!! Chapter 2 coming soon, btw. Tri-aspiration system? what's that? and the rims, do you mean LM GT4? Nismo road version of Z? The S-tune or 3.8RS? It was stated that it is a turbocharged VQ35 but a custom tuning was made to make it seem that it possessed all 3 aspirations. Identify the strong points of an NA, Turbo, and Supercharger in all aspects: acceleration, handling, braking, power conversion within the engine and voila! The self-acclaimed tri aspiration system!! the rims, do you mean LM GT4? Nismo road version of Z? The S-tune or 3.8RS? Nismo Road version of the Z; 5 spoke type. And if it's not too much to ask, can you provide it with the text version? Of chapter 1? I'll see what I can do about it as I make the text version of chapter 2. Can you add a new side-character? Data: A street racer of mixed heritage. Born from an American father and a Japanese mother, as a result, he has striking blond hair, yet handsome Japanese looks. The blond hair gave him the "Lightning" part of his nickname. For some reason, he loves to use white cars, and even repaints his Skyline Nur to a white colour, from the original Metallic Jade colour. This made him well-known as the "Wangan Angel", therefore earning him the "Lightning Angel" nickname. His skills are undoubtedly world-class, despite his tender age of 18, and his youth contributed to his recklessness on the highway, often driving close to the edge, and would not give up, even if it means his destruction will be the end result. Despite all this, he still manages to acquire the respect of the Wangan Street Racers due to his skill. So far, no one has been able to 'truly' defeat him in an all-out one on one battle. Don't worry Paladinoras. I won't kill him. There's somebody else in this story of mine who is destined to die but it won't be any of the guest added characters. A crash with a 100 percent surviving rate is the highest carnage I could do so for such characters but never death. 2 already here (as stated with the ???) are already dead and are 'ghosts' for that matter and 2 will soon die but I won't spoil who and when as of now. And thanks for the add. But... is it alright if he only uses an R34? This is set on a year or two before the Evo 9 is out. The latest Evo in this story would be the Evo 8 MR. is it alright if it's just the R34 nur? He'll be one of Daiki's bitter rivals a notch below Seiji since Seiji is the prime rival of Daiki here; I've made up my mind - He'll be introduced next along with this girl/newbie/kid/whatever!! is it okay? Told ya there's more. Speaking of which... here it is!! The person requesting to be part of the S class program happens to be a 14 year old girl. Her clothing shows that she's somewhat the spunky character type of person. Her name? Kitana Tioseco. She has heard stories of the Akiyama Racing School where the country's greatest drivers trained and furnished their skills; this aroused her interest and made the decision to be part of the school itself. Family background? Well, she's fortunately rich at that. Her mother is a car journalist and Television personality on the same field and her father is the president of a huge oil company that is often involved in the professional racing league as a sponsor and provider. In short, Kitana's family is well vexed in the automotive world. Daiki looks at her face intimately. Though young, Kitana's heart is racing for some reason; beating faster and faster every second. Well, no girl, no matter how old - as long as they understand the element of love and romance, could resist Daiki's good looks and charm. Daiki just gave her a stone face while looking at her shiver every other moment. "Go home." he seriously directed to Kitana. Hearing those two words slightly made Kitana collapse. "Why?" She reasoned. She is desperate to learn and she's just being dumped at her first try. "You're not ready. I could tell by your eyes." "Liar. That isn't true. It is my destiny to be a good driver." Kitana reasoned. "Just a good driver? Then you're in the wrong place, my dear." Daiki commissioned. "Oh really?" Kitana said in an ironic tone. "I even brought MY car here." She proudly said. "Please come with me, Daiki-sama. It might change your point of view of me." Kitana heads for the door and frolics over to her car. When Daiki stepped out of the door into the bright afternoon light, a metalic coated supercar greets him at the door. "Tadaah!" Kitana welcomed as she directs Daiki's attention to the supercar. 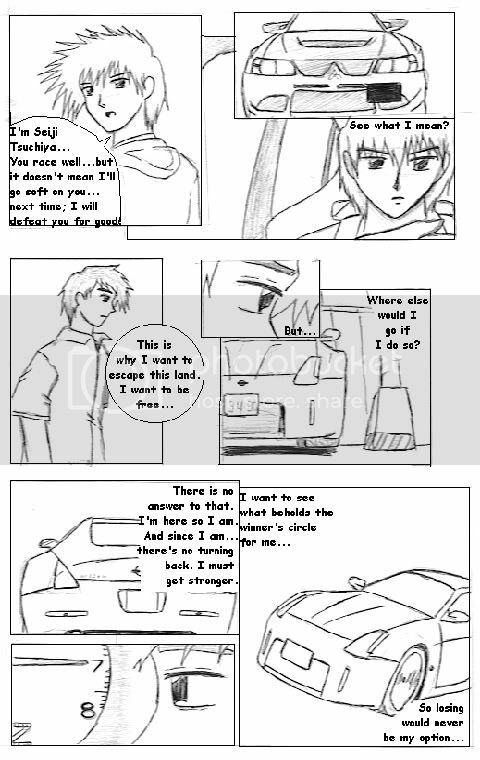 "It's a-" Kitana's words were cut short when Daiki had a very good idea of what the car is. "A Lamborghini Diablo SV, made in 1999, rear wheel wheel drive, fuel injected, 589 horsepower V12 vertical type engine placed at the rear, could go from 0 to 60 in slightly less than 4 seconds and coated in a bright rouge red metallic shade. Is this it?" Kitana couldn't say a word. She just spoke in her mind "Wow. The rumors are true. Daiki Akiyama is like a living car encyclopedia. He's amazing; he figured out the specs of a rare car such as this by just looking at it... he even figured out that mom raised the power of the car by 14 horsepower... amazing... simply amazing..." She just gave a huge gleaming smile at Daiki. "Where did you get this car? Don't tell me it is illegally shipped here..." Daiki asked. "Of course not. Why would I ever-" Kitana complained. "Do you know how to drive? Even the basics?" Daiki asked. "Of course!!" Kitana proudly answered with conviction. "How many days have you drived it..." "A-" She couldn't answer. In fact, she just drove the Diablo right now. She couldn't lie to him because it would be very obvious because of her current age. One of Daiki's employees called out to him saying that there's a small commotion at the track. Kitana wondered what it is all about; she tried to eavesdrop at the conversation but failed to hear anything from them. When they stopped mumbling amongst each other, "Kitana." Daiki directed to call her attention. "Yes?" She eagerly answered. "Your keys." "Here!" She immediately showed it in front of Daiki's face. "Thank you." He said as he snatched it off her young little hands. "Eh?" "This is to ensure you don't anything stupid to your car while I am gone. Stay in my office for the moment." Daiki said as he walked away. Kitana stood there, petrified, in shock as to what just happened. She was double crossed for some reason. "No fair. Like I would do something stupid with my own car." She said with a pouting face. She fixed up her loose black & red necktie and normally walked to Daiki's office. A White Nissan Skyline GT-R R34 N1 Spec blisters down the C1 straightway, being chased by a blue custom body kitted RX-7 FD3S. Down the long straightway, the GT-R gains ground. Down a chicane and an S curve, the tides turned as the RX-7 brings the gap down to a bumper to bumper status once again. The GT-R driver never budged, gritted, nor sweated in his seat; neither did the FD driver. 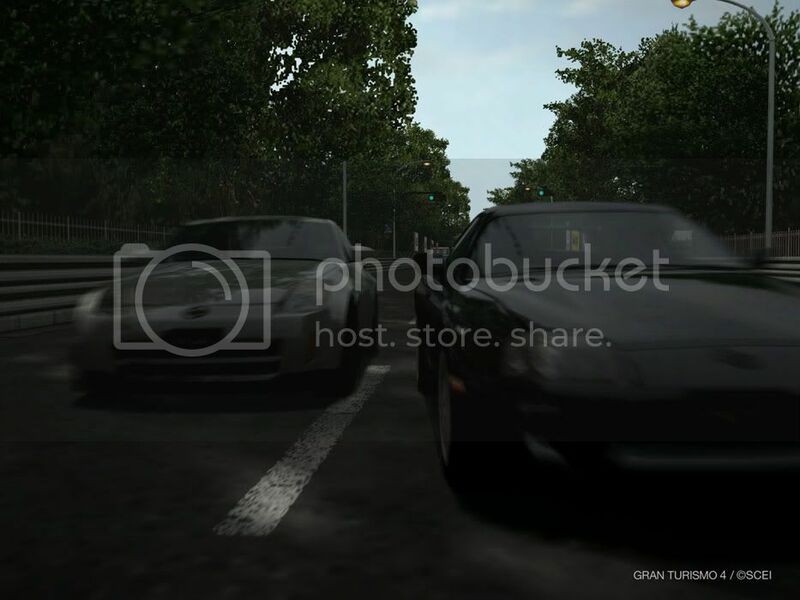 Both drivers gained ground as they enter a junction leading to the long Tokyo straightway known as the Wangan Line. 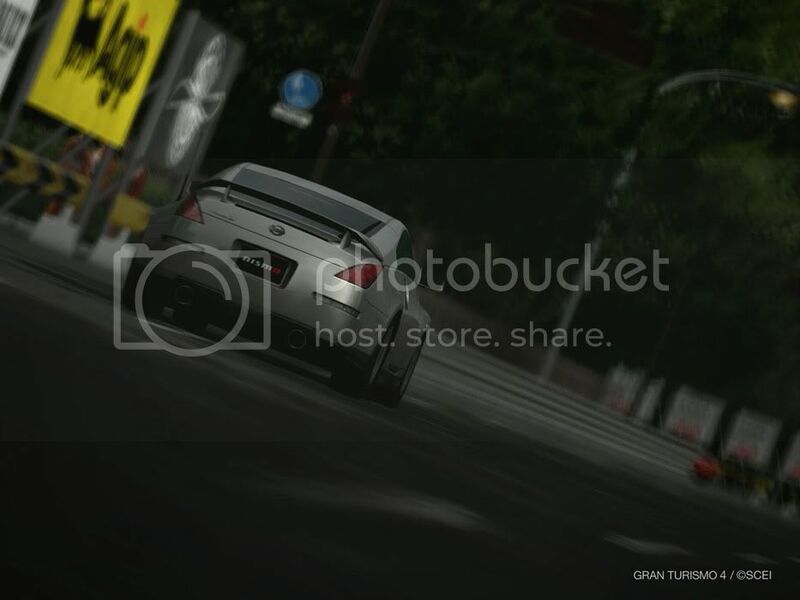 The FD enters the slipstream as the GT-R exits the hairpin. Passing the 243 km/h mark, the FD closes in to the GT-R.
At the fork junction ahead, the FD is about to overtake as it positions itself at the left side of the white R34. 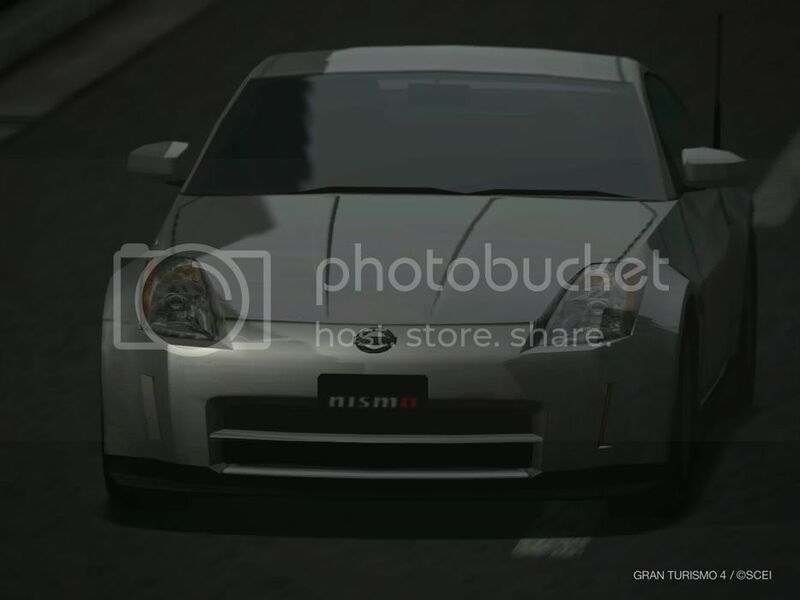 The lights of the Wangan line tunnel is reflected on the FD driver's sunglasses thus unable to see who the driver was. As for the GT-R driver, he had his face hidden in the shade making it hard to tell who he is either. The only thing revealing about himself is his golden hair. When the FD's front is already halfway of the GT-R's side, the GT-R turned right with its hazard lights on. The FD failed to beat the white Skyline. "Damn... next time... next time..." the FD driver said as he turns left down the Shinjuku exit. He flips open the hazard lights and lowers his speed as he drives down the parking area. A silver Evolution 8 MR with a carbon hood sits at the middle of the parking area; it seems it is waiting for him to park as well. Its driver walks over telling him to park right next to his Evo. Kitana sits idly at Daiki's office. Getting too angst in her seat, she stands up and looks around. There is nothing in Daiki's shelves but books on mechanics, automobiles, and business management. There's a picture of him with his father and mother who are both overseas. At one corner, there is a scaled model kit of one of Daiki's pride and joy cars - his Nissan 350Z painted the same color as his own. She looks at it up close and admires it. The door clicked suddenly and Kitana fizzled & she starts to panic. Turning left and right not knowing where to go but the seat and she immediately sat when Daiki's half body was in view. "H-h-hi...eh heh..." She said with a scared smile. "Did you mess something up while I was away...?" Daiki asked. "Um-n-n-n-no-no-no! I didn't do anything..." "That's what I thought you said..." He said as he fixed up the papers at his desk. "Here." He said as he tossed a registration sheet at Kitana. "What's this?" "Write your name, personal data, contact details on it." Her heart starts to race again. "So... you're accepting me...?" "Having a car such as that literally changed my mind for the better. You could have the potential, little girl. But I won't be going soft on you just because you're the youngest in the group. There will be a couple of your 'classmates' who want to be better than you so expect egoistic attitudes on your way." "T-t-thank you very much sir Akiyama." She courteously thanked. "Please, please. Call me Daiki from now on. You'll have to stay after class though. Since you missed a quarter of our program's curriculum, you need to take one-on-one sessions with me for the next month or two." Kitana could not say a word again. The only words lingering on her mind are one-on-one... Her emotions are running wild again with excitement. A one on one session with THE Daiki Akiyama could be the best that has ever happened to Kitana's life. Another session has ended. 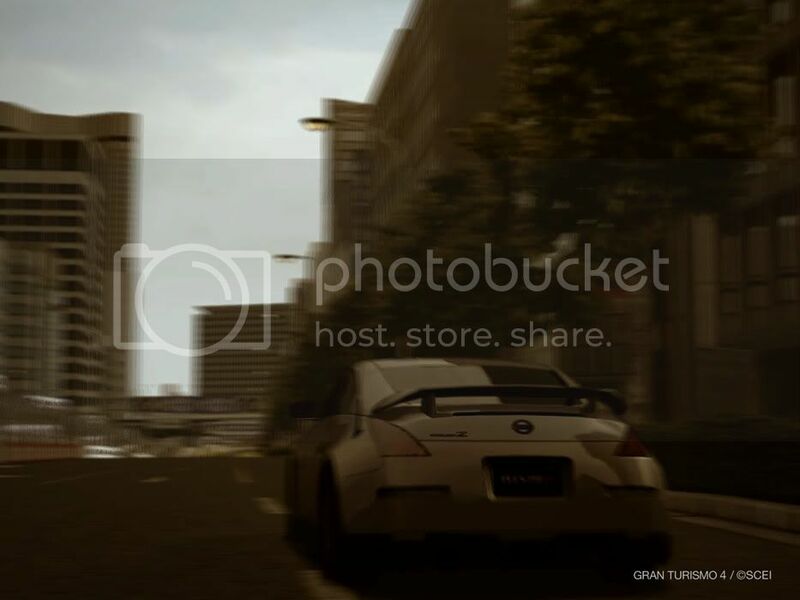 Daiki stretches his arms up high and leans on his 350Z. One of his colleagues, Naoko Takahashi, asked him a question. 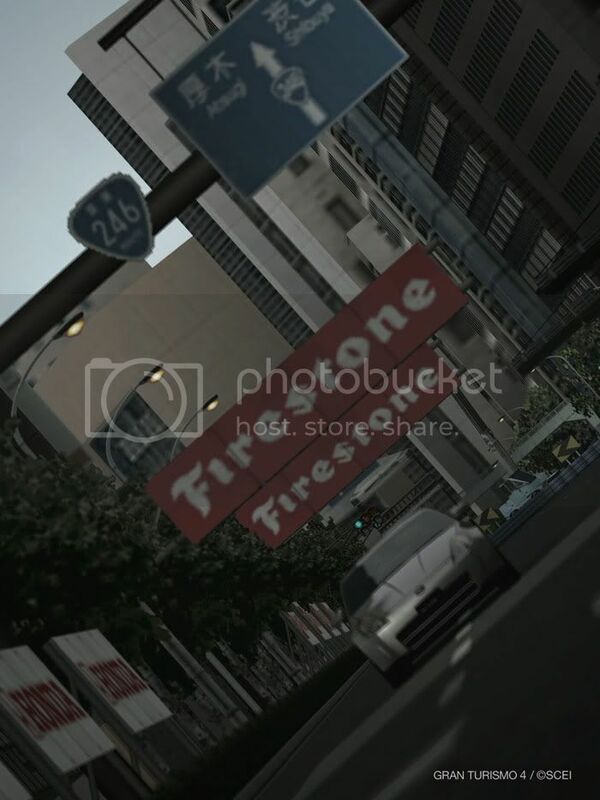 "Off to the Wangan again tonight?" She asked. "Not tonight. Now probably." "What made you change your 'schedule'?" "Oh, just another wannabe applicant starting at a very young age to be in the S program." Daiki answered. "Another weight on your shoulder it seems... Here." Naoko hands to Daiki over a card. "What's this for?" "Call me one time if you are free during my day off. I want to show you how my own car runs." She said with a smile directing it to Daiki. "Hmph." Daiki snickers. "I'll be looking forward to it." He said as he boards his car. 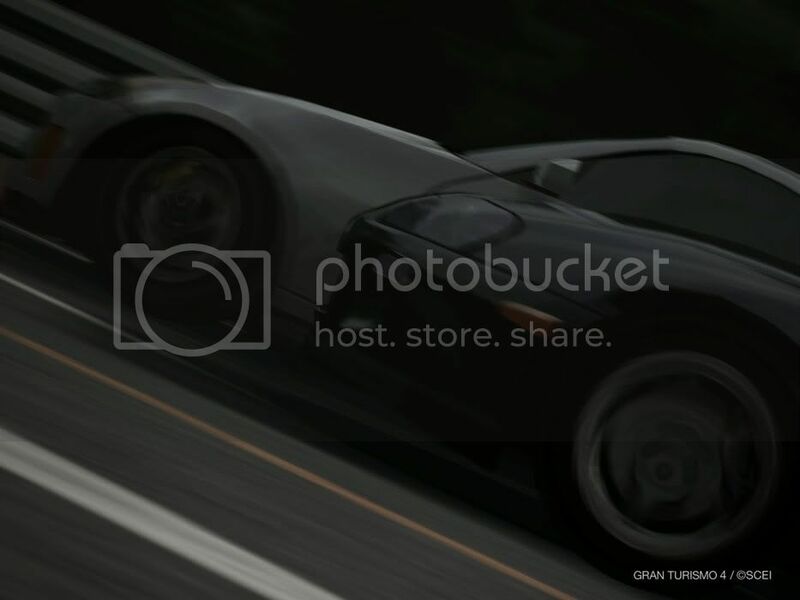 Turning the ignition on, and lowering the e-brake, he drives to the Wangan again to 'relax' his mind once more. He did a few modifications this time on his 350Z. He installed an Aero kit for personal and aerodynamic reasons. He is testing out which body tune would make him faster through corners. While down the Wangan line, where the blue FD and white GT-R raced an hour ago, he could sense a couple of wangan racers out on the streets. 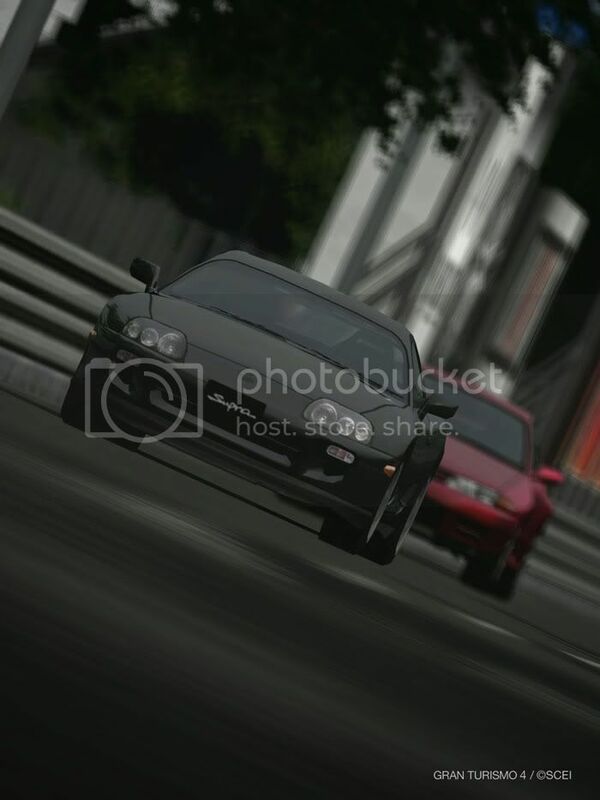 A black Toyota Supra JZA80 and a red Nissan Skyline BNR32. Although it is daytime, they flashed their lights at Daiki. Daiki just stared at them from the side mirror and then looked out on the road. 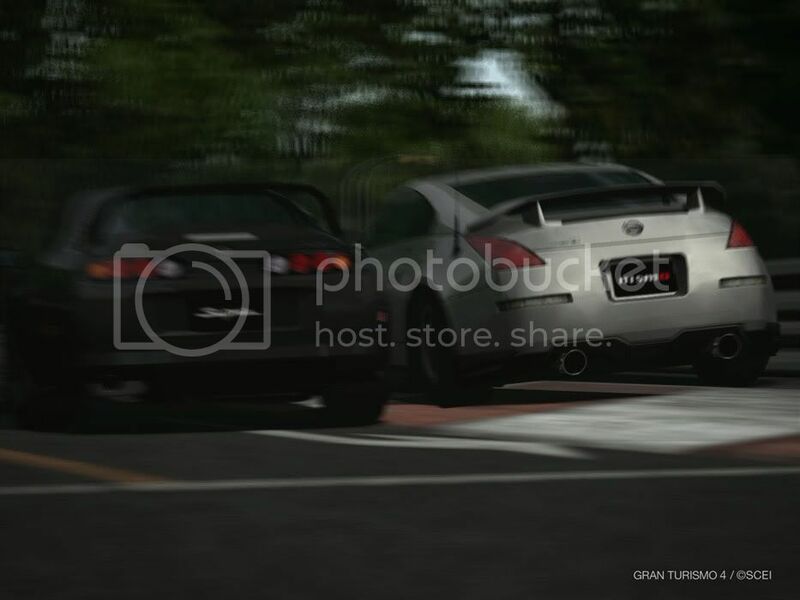 The Supra and R32 went to both his sides to taunt him. Looking at the situation... Daiki slowly deepens his press on the accelerator. Well, actually, I expect him to destroy either one of his cars in the story, so I provided him with two cars. Your call though. Yeah, the Nur should do it. what year does this story takes place? 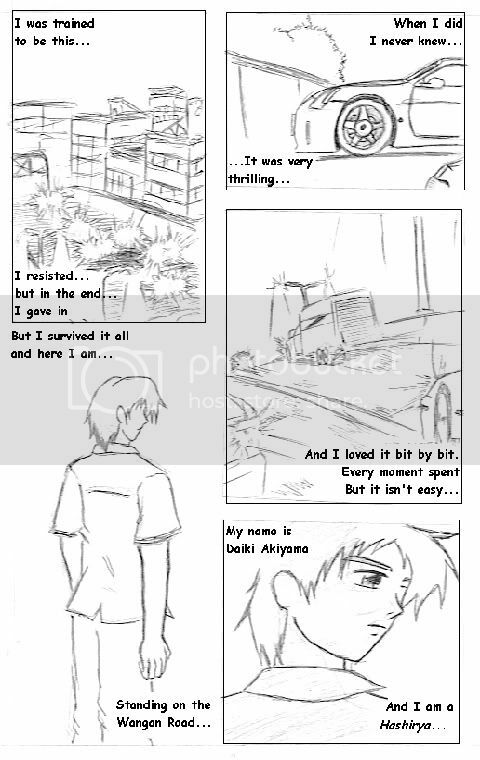 If I include Daiki in my story (mine is around 2008 end to 2009 beginning), how old is he by then? So? Can you provide us with the text version of the chapter 1? It seems shorter on the pictures... is the prologue the same as chapter 1 (prologue = chapter 1)? and yeah, sorry of declining your offer, R_E_X. Hope this doesn't disappoint you or anything. weeeee! 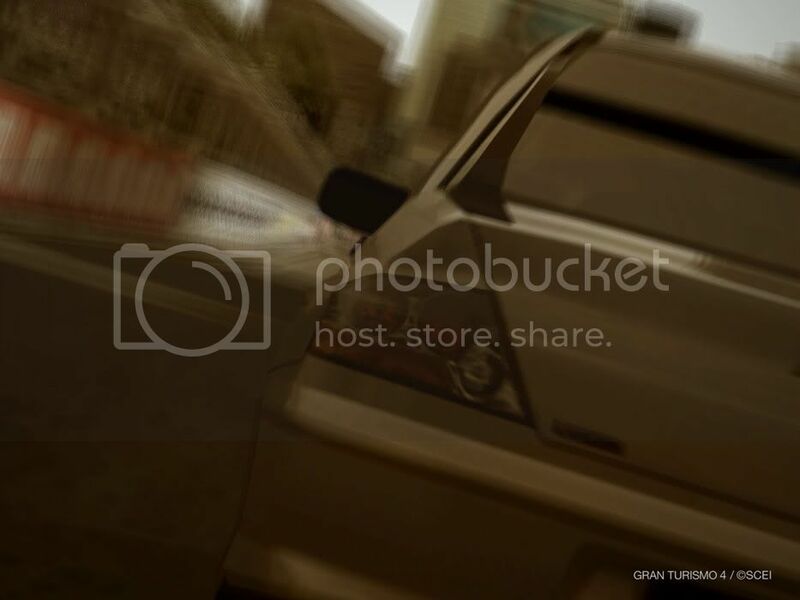 !waitin waitin...GT photo mode? ?wow u can use tat to make story..cool.. 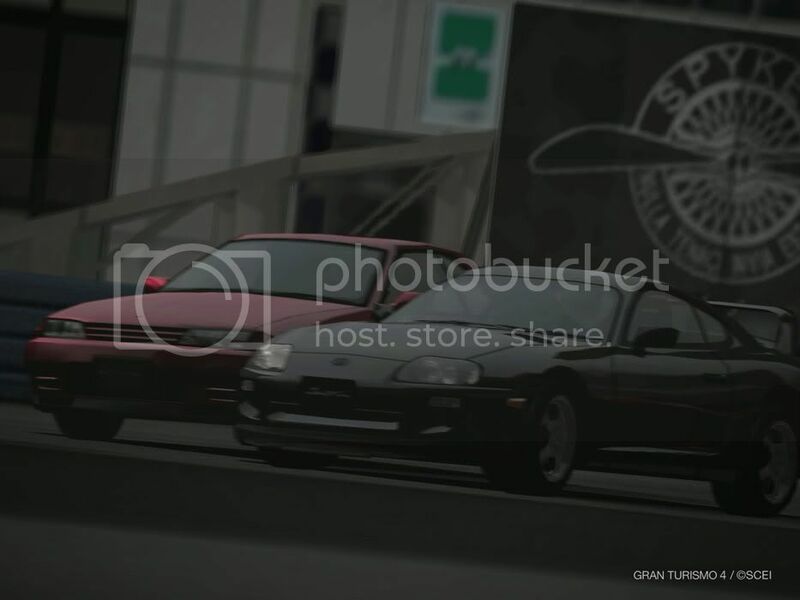 These two claim to be the top regulars around the Wangan during the day. The GT-R driver tells his friend in the JZA "That Z... wanna race him? It does look like a stag if you ask me..." The Supra driver gives a huge grin and says "Alright. I'll take him on. This ought to be interesting enough. I never see too many Z's around Tokyo's highways... what would make this Z any different?" "Good point there. I'll stray off for a while. Tell me how the battle goes when you reach the parking area, okay?" "W...what is this!? The Z is on the inside but is gaining more speed than what I could make up!?" The Supra driver reacted upon looking at his right. "Hmph... all drivers in the Wangan are the same... that's what makes it boring for me." says Daiki as he plans to quickly end this non-beneficial race. Daiki calmly looks at his mirror... seeing nothing behind him chasing after him either... "Typical... just typical..."
"Akiyama Daiki... where are you? You cannot hide from me not even in the day." "Lucky for me, work ended early... I could use the moment to search for you..."
cool...hey DOHC? ?u are from malaysia rite? ?always hang out at 1u? ?